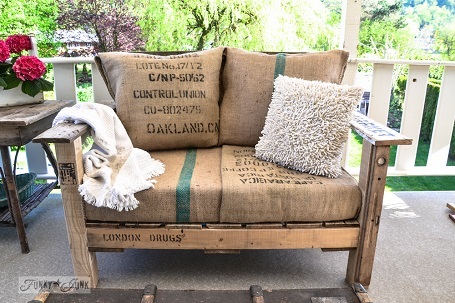 You may never have thought of using used wooden pallets in your home, but there is a huge range of alternative uses for them. For those with a bit of creative flair, there’s the opportunity to make something completely unique that becomes a focal point in your home. How can pallets be used and what should you be looking for in a used pallet? In these tough economic times, we’re all looking for ways in which we can revamp our home or business for less. If this is also environmentally friendly then it’s an even better option. Many companies have to pay to dispose of their unwanted pallets. For those looking for a change from mass-produced furniture and home accessories, this is a chance to make exactly what you want, in terms of both style and colour. Firstly check the pallets are clean, remove any protruding or large nails and sand them down. They’re then ready to be used as they are or varnished, painted or stained. Used wooden pallets should not be utilised for food storage or children’s toys. 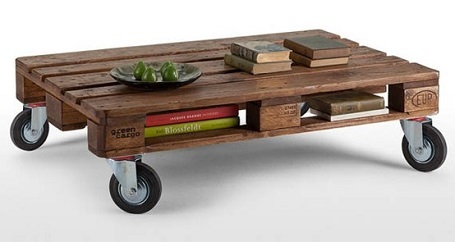 There are some incredibly simple uses for pallets and others which require a greater level of skill and time. A pallet can just be turned on its side and then used as a shoe rack. The raw look is perfect for a natural and rustic feel or it can be decorated as you require. There are unlimited ways in which they can be used to create pieces for the home or business. There are plenty of examples of how used wooden pallets can be turned into anything from bookcases and shelving to tables and wine racks. With a little effort you can create a stylish dining or coffee table by adding a glass top to the pallet and either legs or caster wheels. You can even incorporate recycled pallets into today’s modern technology by creating a focal piece to house your plasma TV. Used pallets are also great for the garden. Beforehand, the wood should be treated to make it waterproof. The treated product can be used as material for decking, fencing, furniture or shelving. Pallets also look great as containers for plants, seedlings and herbs. As long as you know what you’re doing and you’re careful about the type of products you use, recycling pallets around the home is both practical and economical. They can be used to create stunning pieces that are completely unique and fit with your decor.